Good Morning! St. Andrews Park, an attractive Florida Treasure Coast community located in Port St. Lucie, joins the Golf Course Home Network today. Residents like its convenience to beautiful beaches, shopping, dining and its location right across the street from The Champion Turf Club at St. James. * Watch for our next issue – Tuesday, February 23rd! Gated community of new-construction homes, 6,000-sf Clubhouse, swimming pool with heated spa and sundeck, fitness center, hiking and biking trails, adjacent to championship golf, villa homes from the low $200,000s. > Solivita, Poinciana FL provides a quick video tour of the community plus greater Orlando that shows how well-planned and livable Solivita is. It’s an active golf and retirement community featuring two championship golf courses and a 32,000-sf Riviera Spa & Fitness Center. Additional amenities include the Mediterranean village center and Palms Amenity Complex. Send me more information about Solivita! > Wycliffe Golf & Country Club, Wellington FL is a private, gated golf course community with two championship courses—the video you can watch is a Golf America television show, featuring Wycliffe. Golf is just the beginning at this community, with its superior dining and its elegantly designed, 2,300-sf Spa at Wycliffe, a tranquil haven for relaxation and serenity. Send me more information about Wycliffe! > Currahee Club, Toccoa GA uses the member–testimonial video format to tell its story. It’s a 1,200-acre private, gated residential club community set in foothill splendor along the shores of Lake Hartwell near the South Carolina line. The community’s signature amenity is a luxurious 45,000-sf, mountain-style clubhouse which features three covered stone terraces for dining. Send me more information about Currahee Club! > Osprey Cove, St. Mary’s GA has a video with great helicopter flyovers to provide a panoramic glimpse. It highlights the wonderful renovations recently done at this 1,059 acre community. The location is just a few miles from unspoiled sandy beaches and just minutes from Jacksonville, Amelia Island and historic St. Marys. Send me more information about Osprey Cove! > DeBordieu, Georgetown SC is a private, gated beachfront community on a beautiful spot along the South Carolina coast. Tucked between the Waccamaw River and the Atlantic Ocean, the community is home to just 1,250 homesites on its 2,700 acres. DeBordieu encompasses hundreds of undeveloped acres that have been established as a wildlife preserve in perpetuity—the video takes a “day in the life” approach and shares interesting history. Send me more information about Debordieu! > Woodside Plantation, Aiken SC is a welcoming community with world-class amenities, a year-round climate and superbly crafted homes. Residents enjoy 200 acres of lakes and miles of nature trails that wind through the grounds. In less than two minutes its video brings all that to life. The golfer is well served by Woodside’s four championship courses, which are also featured. Send me more information about Woodside Plantation! 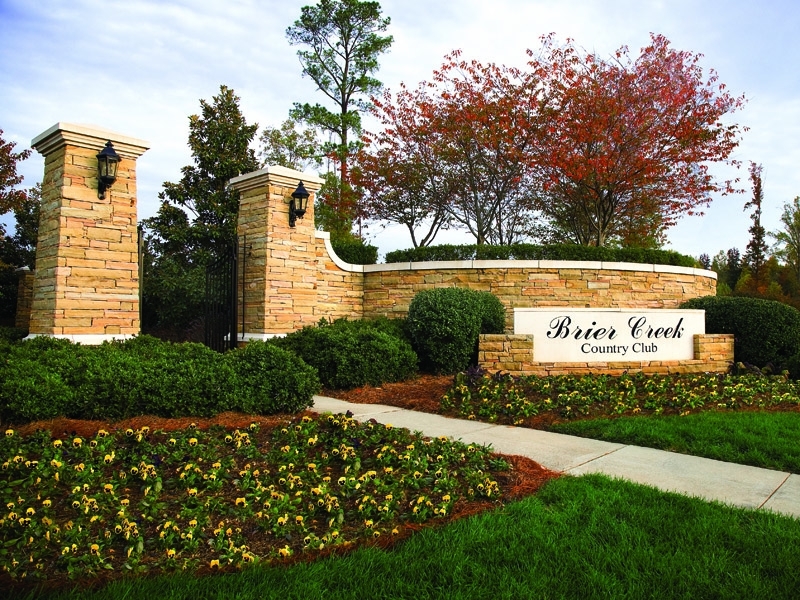 > Brier Creek Country Club, Raleigh NC, in the heart of the sought-after Triangle area, is just minutes from downtown Raleigh, Durham and Chapel Hill. The focal point of the community is a magnificent 40,000-square-foot clubhouse complex. This comprehensive complex includes tennis, swimming, fine and casual dining, a fitness center and business amenities. The club’s 18-hole Arnold Palmer Signature Golf Course is a standout in greater Raleigh. See all this on the Brier Creek’s extensive and in-depth video. Send me more information about Brier Creek! > Connestee Falls, Brevard NC The Connestee Falls video shows highlights of its long amenity list, which includes an 18-hole championship golf course, signature waterfalls, four mountain lakes and a grand clubhouse with dining. The outdoor life is active here with 13 miles of private hiking trails, large heated pool, tennis and pickleball centers, wellness center, and more than 60 active resident clubs. Send me more information about Connestee Falls! > Red Ledges, Heber City UT is a private four-season mountain golf community near Park City, Utah, that combines a Western luxury lifestyle with a full suite of recreational amenities. On the Red Ledges video, you can see highlights of these features, plus cedar-lined canyons, dramatic red rock cliffs and mountain plateaus. Send me more information about Red Ledges! > The Virginian, Bristol VA exudes a stately beauty which is clearly evident on its its professionally produced video. The community—award-winning and private—features a Tom Fazio championship golf course, a 44,000-sf stone and wood clubhouse and a full roster of recreational and lifestyle amenities. Send me more information about The Virginian! > The gated community of St. Andrews Park is ideally located in the Treasure Coast town of Port St. Lucie, directly across from The Champion Turf Club at St. James. This relaxed and welcoming community features an attractive and well-designed clubhouse with 6,000 sf of standout amenities. Life here puts you close to world-class fishing, the beach, upscale dining, shopping and all the best of Florida’s famed Treasure Coast. Meet friends, swim and get fit at the clubhouse. The clubhouse at St. Andrews Park has a state-of-the-art fitness center, a card and game room, a media room with a partial kitchen for hosting larger gatherings and a swimming pool with heated spa and sundeck. A round of golf is just steps away from the front gates at The Champion Turf Club at St. James. This prestigious club features an 18-hole championship course with various membership packages to choose from. You can even drive your golf cart over to the club straight from your villa at St. Andrews Park. Send me more information about St. Andrews Park Villa Homes!